An impromptu meal out with my friend Rob lead to me whipping out the Zomato app and checking out what I’d bookmarked in the area (not kidding, seriously ask him yourself if you don’t believe me!) 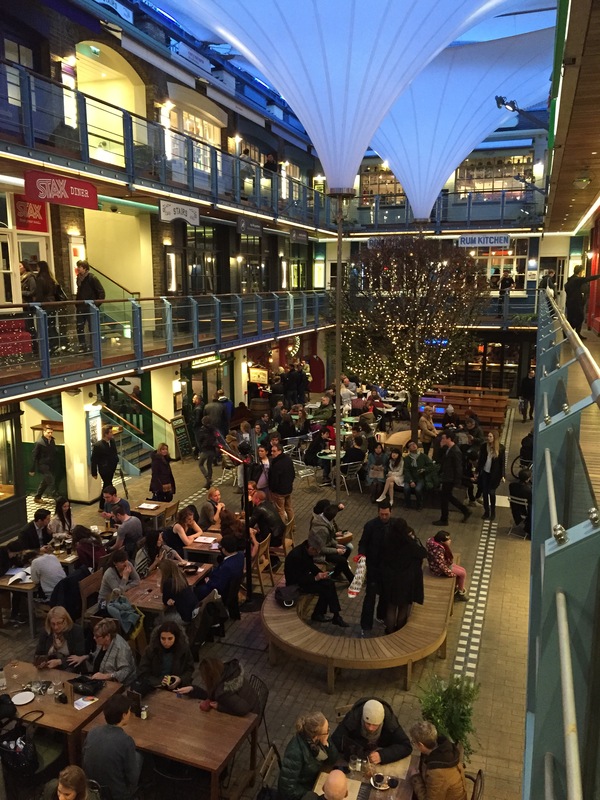 we settled on Stax Diner in Kingly Court. 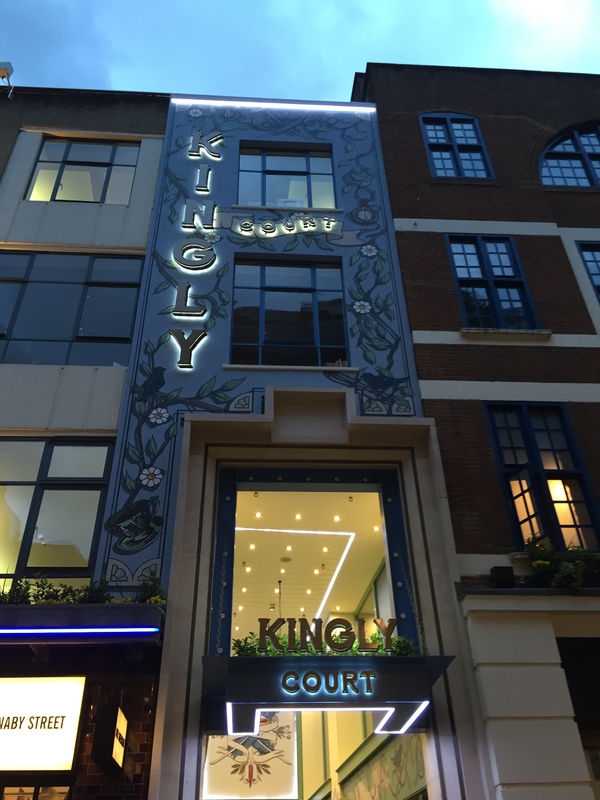 I only vaguely knew the area behind Regent Street and didn’t remember Kingly Court, possibly because it’s one of London’s many secrets. The entrance to Kingly Court looks just like that of a shop but once you go through the small lane you’re in a the middle of a lovely courtyard with three levels mostly filled with restaurants but also a sprinkling of small shops. Stax Diner was on the first floor and we took the time to have a gander at the other menus around before deciding we were definitely going to be eating there. Most of them are of a similar price range and not overly expensive so this is definitely an area to check out if you want to keep your options open. 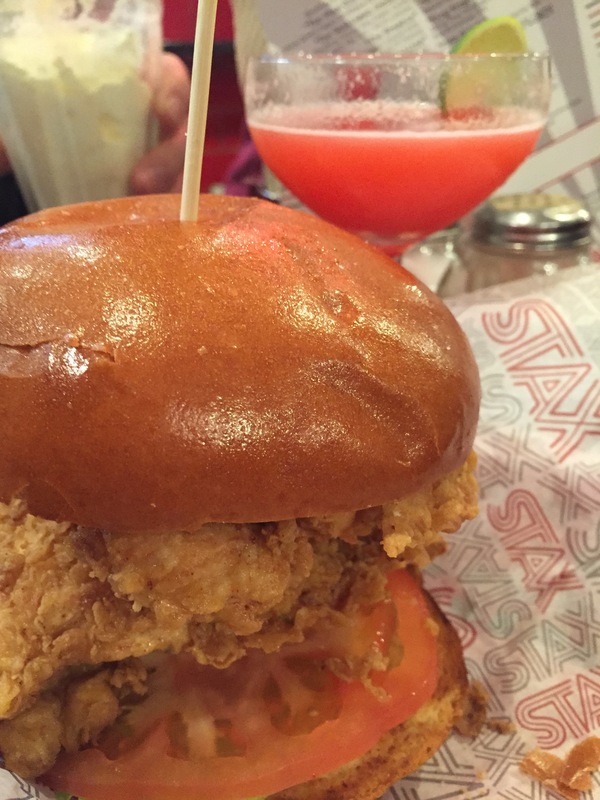 Stax isn’t a fancy restaurant this is a laid back, relaxed diner where you can enjoy some traditional Southern food. It was really busy when we arrived but we were able to pop on to the end of another table so we didn’t have to wait. The seating is like old wooden desks from primary school and they are squished pretty close together but this does add to the buzzy atmosphere of the place. 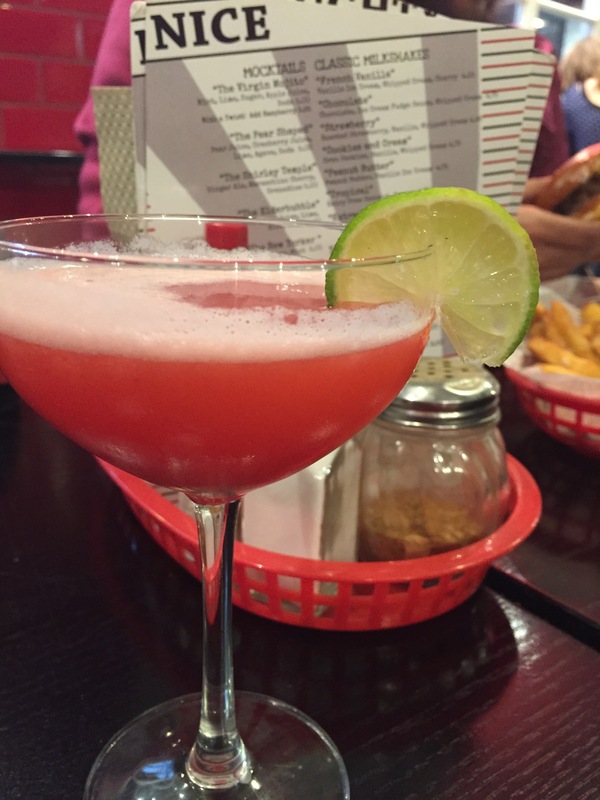 To drink I went for the ‘naughty’ Passionfruit Cosmo which was very disappointing and didn’t even taste like it had any passionfruit in it, I mainly tasted just lime juice but I drank it anyway. 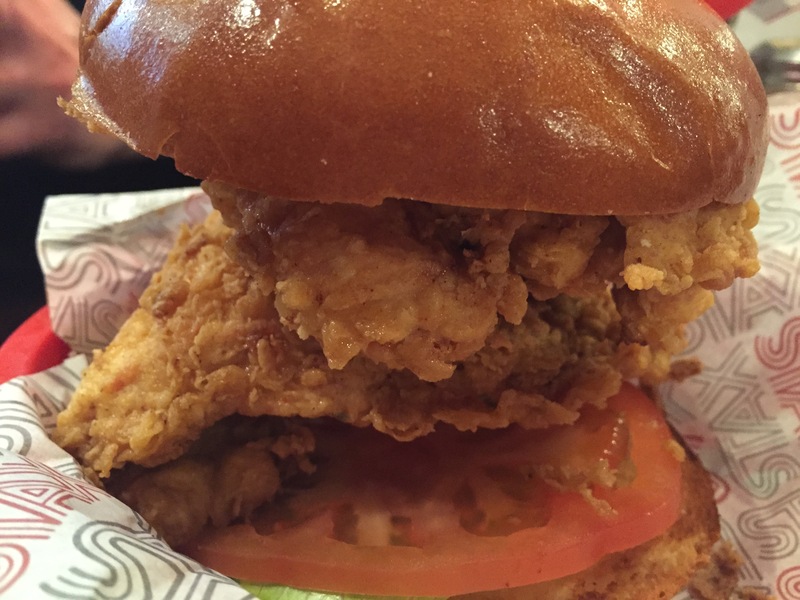 I’ve always wanted to try buttermilk fried chicken so went for The Chickadee which is basically just a chicken burger but I think it’s one of the best that I’ve ever had with two large pieces of chicken packed into the bun. It was too big to eat as one burger so I had to eat it in two open-topped halves. I loved that it wasn’t slathered in sauce which so many places seem to do these days but I think it would have been extra awesome with a slice or two of cheese on there as well. It was a huge portion too so I was grateful that I didn’t go for a side as well even though I was tempted by the sound of the popcorn shrimp. It could have been worse I could have tried (and epically failed) The Ultimate Burger Eating #StaxChallenge – a 5-beef patty Stax cheeseburger, a basket of Cajun boardwalk fries & a super sized milkshake! Crazy right?